Welcome to a new way to build! Give us a call. And we’ll assign you with your own individual project Advisor to determine exactly what your project involves – free of charge. Once you engage FairTradeWorks, your project Advisor will continue to be your advocate, keeping you up to date throughout the process from conception to completion. May the best bid win. After your Advisor has your project laid out and dates decided, only FairTradeWorks qualified contractors will be invited to compete for your project through a standardized bidding process. A little bit of healthy competition is a good thing, especially when it leaves more money in your pocket. Once you have selected your contractor, our ground breaking software will help the contractor streamline operations and keep you up to date on what’s happening. Your Advisor will show you how to keep tabs on every aspect of your project. Get progress reports, photos, timelines and project communications sent straight to your mobile. Call us co-dependent, but we’re not happy until you’re happy. 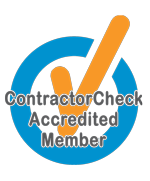 Throughout every construction project, we conduct thorough inspections to make sure you’re completely satisfied. We’re not in the business of giving out free passes. If your renovation doesn’t make the grade, we’ll work with the trades until it does. No pass, no pay—simple as that. Sign up for a free consultation Let one of our savvy project Advisors put their knowledge and experience into action for you. © 2019 · FairTradeWorks Ltd. All rights reserved.